The husband and wife team behind a thriving Selby business are celebrating after winning a prestigious award. 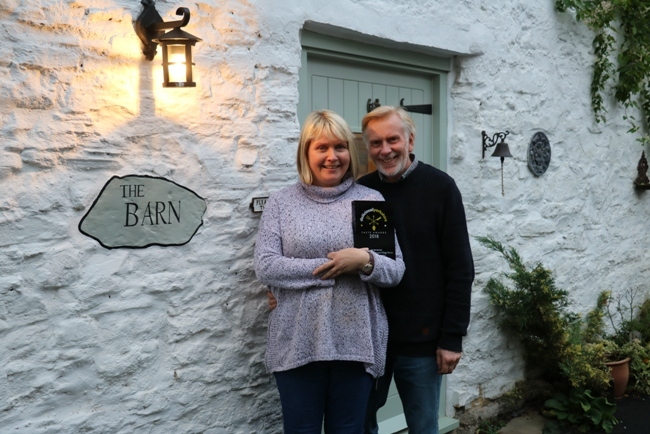 Faye and Kevin Coles from Monk Fryston Post Office and Village Stores were awarded Best New Business at the Deliciouslyorkshire Taste Awards for The Barn guest accommodation that is adjacent to the Post Office. Having breathed life back in to the Village Stores when they purchased it in 2010, Kevin and Faye turned their attention to the adjacent Barn, that dates back to medieval times, in 2016. The couple commissioned local tradesmen to help them renovate and modernise the Barn and an outbuilding to create four Bed and Breakfast rooms. Their hard work was rewarded with bookings from all over the world and a Visit England Four Star Gold rating and Breakfast Award for the breakfasts that Faye cooks using local produce. The Deliciouslyorkshire Taste Awards are run by the Regional Food Group for Yorkshire and the Humber and are regarded as the largest and most respected Food and Drink awards in the region.